Middle Eastern food is becoming more and more popular in the United States. One has only to look at the myriad varieties of hummus available to see this! In spite of most people’s love for hummus, tabouleh, and pita bread, many people’s first reaction to a mention of Syria or Palestine is the thought of war, strife, refugees, terrorism, and houses left in rubble. But of course there is so much more to that region of the world than current events! 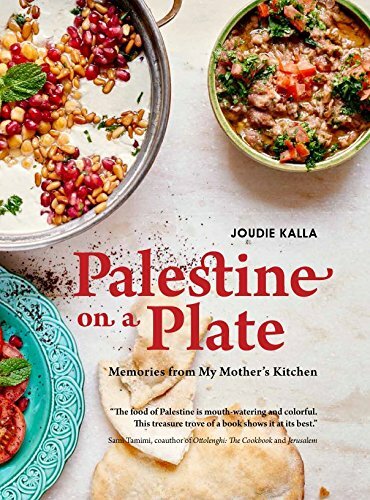 Interlink Books has recently published 2 cookbooks that showcase recipes from this region along with colorful pictures showing the streets and people of the area, the markets piled high with colorful spices and vegetables, and more. 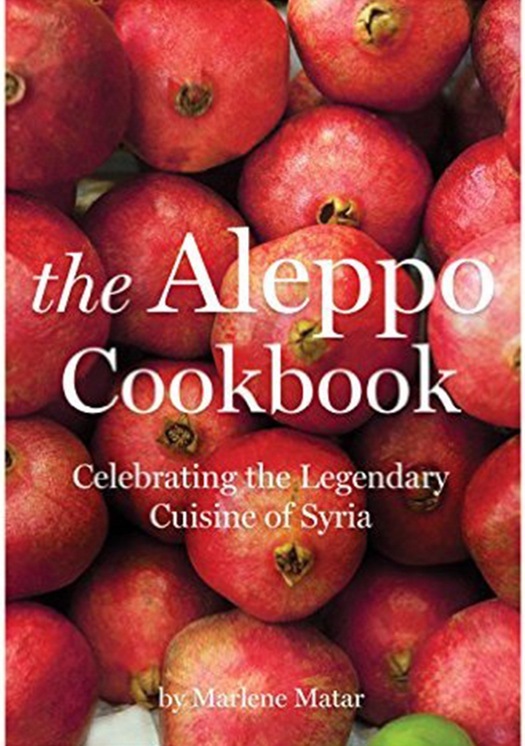 The Aleppo Cookbook: Celebrating the Legendary Cuisine of Syria looks specifically at recipes emanating from that city, while in Palestine on a Plate: Memories from my Mother’s Kitchen, author Joudie Kalla has chosen recipes as a tribute to her mother, family and home, reflected in foods now popular in her restaurant. Both books are gorgeous, replete with pictures that make your mouth water. I invited some friends over and cooked up a storm! Read about the delicious new food I managed to produce over at 5 Minutes for Mom. I highly recommend both of these cookbooks. Either would make a great Christmas gift for the cook on your list, or a great addition to your own wish-list.